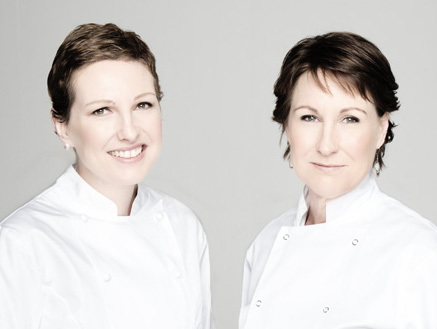 Sisters Domini and Peaches Kemp have revolutionised the Irish food scene over the past two decades, working in Michelin star restaurants, writing for various newspapers and magazines, and creating a whole range of food brands, from Itsa to Alchemy and from Hatch & Sons to Joe’s Coffee. They run cafés in museums, such as the Irish Museum of Modern Art, and in department stores such as Brown Thomas and Arnotts. They also own and work in the renowned boutique catering company Feast, while Domini has written five best-selling cookbooks, including ‘Dinner’, a compilation of her recipes from her ten years as food writer with The Irish Times. The sisters believe there is no great mystery to food; use quality ingredients and apply good techniques and you’re sure to come up with some family favourites. Join Domini and Peaches for an introduction to their best Sunday dinner dishes and observe as they put into practice their ethos of easy-to-prepare, delicious meals. The Kemp sisters started their award-winning and family-owned company in 1999. Together, they have created five brands across 12 locations: Itsa Cafés, Hatch & Sons, Alchemy Juice Co. and Joe’s Coffee, as well as Feast Catering & Events. They now employ a team of more than 100 staff, including chefs, waitstaff and counter workers. Domini is a Euro-toques chef, former food writer for The Irish Times and author of five cookbooks, including the bestselling, ‘The Ketogenic Kitchen’. Peaches holds a WSET Diploma in Wine and is Head of the Alumni Board of Ernst & Young. The sisters were finalists in the EY Entrepreneur Of The Year™, and former winners of the IMAGE Businesswoman of the Year.